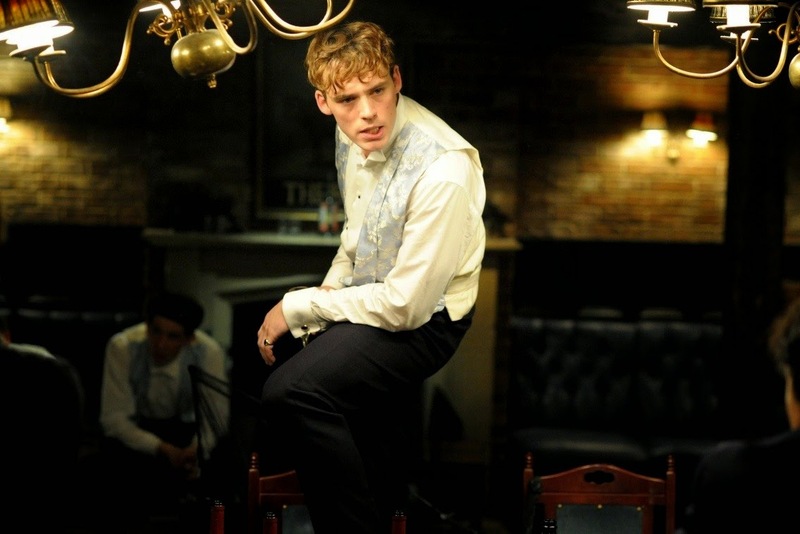 Sam was interviewed by Ecran Noir during The Riot Club Press Junket in France. it was a movie, have you seen it ? of friends from drama school who were in the play. true villain, weren’t you a bit reluctant when you got the script ? So how did you prepare for the role ? we didn’t attend a posh school. prepared like this, doing research to find out why he is like he is. He is a very very complex character and really hard to understand. Did you also have to do some research on Oxford University ? you are doing some research. anyway. It’s pretty scary I would say! perfection, leaving us some freedom to completely get the character. We had our say. There are many lines not initially in the script. scene in The Riot Club? track our movements. We were a wolf pack! It was really fun. Sometimes, we were real animals ! see as a member ? brother who is also an actor. kind of advice would you give him ? him talk about his feelings, the same way you talk to a child. know everyone needs a friend, or needs someone somewhere. rejection, it doesn’t urge him to be sociable. there are many actors who inspire me but each has his own career. a great actor and he deserves everything that happens to him. difficult just like your co-star Jennifer Lawrence? 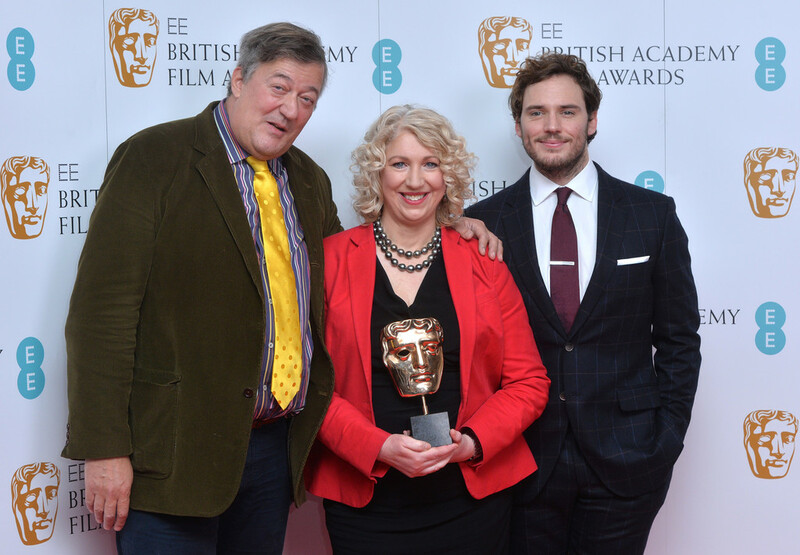 On January 9th Sam took to the stage along with the wonderful Stephen Fry to announce the lucky nominees of the 2015 Bafta film awards, sponsored by EE. 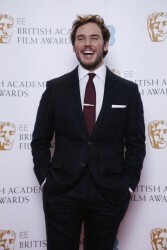 As always, he looked incredible, wearing a checked suit by Hackett London and a deep red tie. The Bafta film awards will take place on Sunday 8th February at the historic Royal Opera House in Covent Garden, London. Keep checking back with us nearer to the date to see if Sam himself will be in attendance. 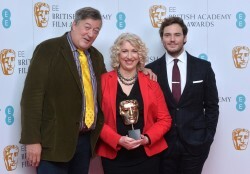 On January 8th Sam took to the stage in London with Stephen Fry to announce this year’s BAFTA nominees. As always he looked impeccable and seemed to have a lot of fun announcing the nominees with Stephen! Afterwards the pair discussed everything from the lucky nominees to cinema snack preferences. 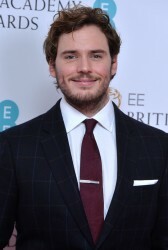 Also in an incredible interview with Red Carpter News TV, Sam talks for the first time about his upcoming role in Me Before You! Be sure to check out all of these great interviews below!